Saguirou has come a long way in his two years of life. He is from Niger, where sparse rains resulted in a modest crop harvest, leaving Saguiro's mother able to feed her children only one meal a day. 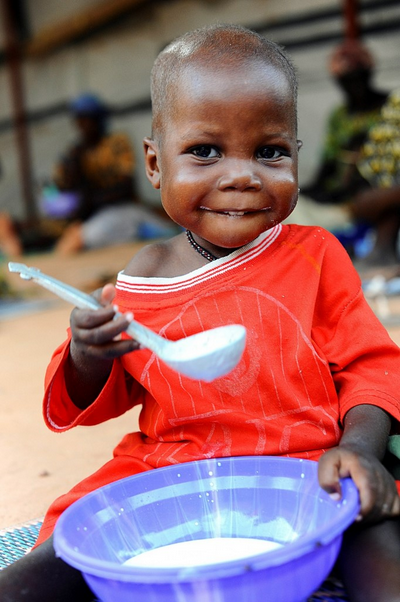 When the toddler became sick with diarrhea, his mother took him to a stabilization center supported by Save the Children, where he received highly nutritious, fortified milk. 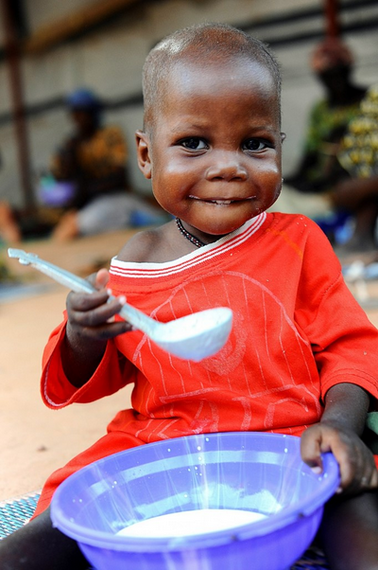 Saguirou also received medicine to treat other complications that can come if malnutrition is not treated properly. Fortunately, Saguirou lived. But millions of kids around the world are not so lucky. Each year, treatable diseases like diarrhea or pneumonia, as well as malnutrition, claim the lives of 5.9 million children. That's 16,000 kids who are dying every day, unnecessarily. Mothers are also extremely vulnerable, with 800 moms dying each day from preventable complications during pregnancy and child birth. These stories are heartbreaking and it may seem impossible to help save the lives of people who live on the other side of the world. But there is something you can do to help - right from your own home. You can urge your member of Congress to cosponsor a bill that would put us on the path to ending these preventable deaths in a cost-effective way. This bipartisan bill, called the Reach Every Mother and Child Act (Reach Act), would ensure that the U.S. focuses on the poorest and most vulnerable women and children, sets ambitious targets and has a strategy in place for meeting the targets. By scaling up the kind of low-cost, high-impact interventions that we know will work--like bed nets to protect from mosquitoes carrying malaria and encouraging moms to breastfeed--we can save the lives of millions. And because the U.S. cannot do it alone, the Reach Act would introduce new financing mechanisms to bring new investors to the table and improve the stewardship of taxpayer dollars. One year ago, more than 190 world leaders voted to adopt 17 Sustainable Development Goals--a new, ambitious set of policies aiming to improve the future of our world. Save the Children and Save the Children Action Network are prioritizing Goal 3: Good Health, with a particular focus on ending preventable deaths of mothers, newborns and children under the age of five. To reach that goal, U.S. leadership is needed and that means there is an urgent need to pass the Reach Act right now. You can make a difference today by asking your member of Congress to cosponsor the Reach Act. Hearing from constituents makes a big difference to elected officials. The more a representative hears from folks in their district, the more likely it is that he or she will become a cosponsor. The amount of momentum around the bill is extraordinary - demonstrating some of the largest bipartisan congressional support for global health and international development in history. There are currently more than 185 cosponsors in the U.S. House of Representatives and 26 in the Senate. Our goal is to reach 200 cosponsors in the House by Thanksgiving. Support of that magnitude would send a powerful message to Congressional leaders and help provide the strong momentum necessary for Congress to pass this bill. Investing in maternal, newborn and child health reduces poverty, stimulates economic growth and, most importantly, saves lives. You can click here to send a letter to your member of Congress and ask them to become a cosponsor. Together, we can make a difference.